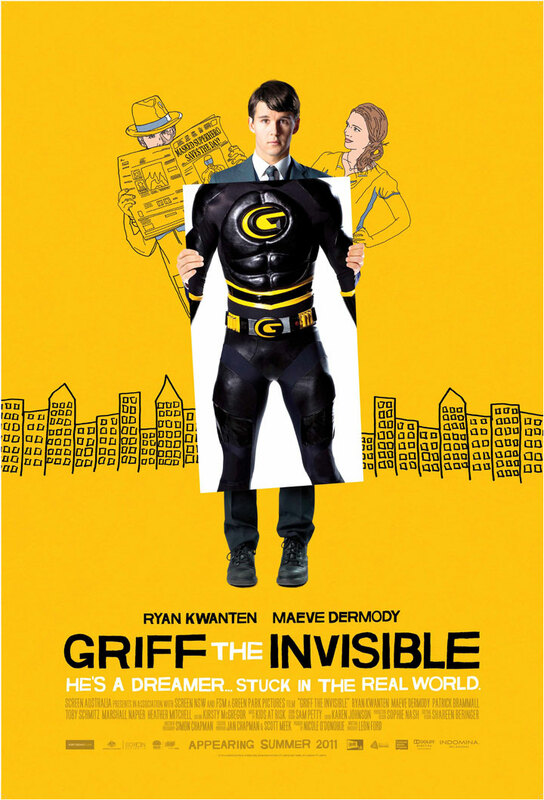 Here's two new clips from GRIFF THE INVISIBLE which lands on DVD and Blu-ray November 15th. This is a really great movie so be sure to check it out when it hits the shelves. 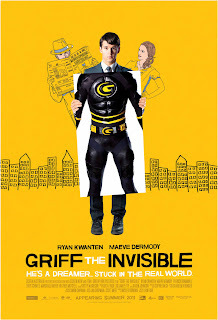 Griff (Kwanten), a shy and awkward office worker by day, finds escape from his ordinary life by assuming the identity of a fantastic superhero each night. Griff's secret is jeopardized when he meets Melody (Dermody), a cute but unconventional daydreamer. She quickly becomes fascinated by his idiosyncrasies, which are equal only to her own. In the face of mounting pressure to live in the "real world," it's up to Melody to rescueGRIFF THE INVISIBLE for the sake of herself, Griff and their newfound love for each other.